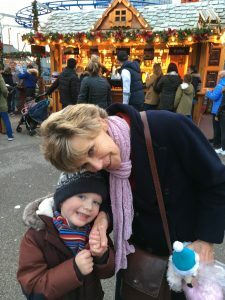 Bertie’s Grandma, Joan Parkinson, is busy organising our first Move a Mile for Muscles event to support research into a cure for muscular dystrophy. 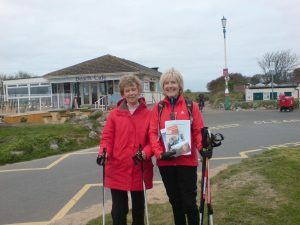 Joan and friends, including Isabel (pictured), will be nordic walking a mile of beautiful St.Annes Beach in Lancashire this spring (May 4th). You can join an existing Move a Mile event or organise your own. What could you do? 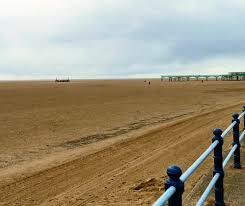 You can Move a Mile on a bike, on foot, on roller skates, in a wheelbarrow, in fancy dress, backwards…anything goes! It is a very flexible event and there is no registration fee. Visit the registration page on the Muscular Dystrophy UK website here. Below is MDUK President Sue Barker describing what Move a Miles for Muscles is all about. Through a great friendship with Lord Richard Attenborough, Sue Barker decided to follow in his footsteps by becoming President of Muscular Dystrophy UK (then the Muscular Dystrophy Campaign) in 2004. Since joining, Sue has become an invaluable representative for the charity, meeting hundreds of supporters and supporting numerous charity events. Posted in Move a Mile for Muscles and tagged Bertie's Buccaneers, MDUK, Move a Mile for Muscles, nordic walking, Sue Barker.